hunt for the rock. | escaped. After the engagement ring, I honestly had no idea how I wanted my wedding ring to be. He had no idea too, I could tell - but I didn't want him to worry about the picking-out-process-of-the-ring after the whole effort he put into the engagement ring. So I started to peek at Habib's windows wondering if I could ever fell in love with one that'd be worth to ask him to spend his money on occasionally when I happen to drop by KLCC or Alamanda. But after a few weekends of peeking, we still couldn't find any that I want. It's either the size is too big and they can't resize, or the diamond is too big/small, or the size and diamond is good but the band is yellow gold - nearly all stores we went to just didn't have one that is good enough. Mum says better to buy now since a lot of stores are having their year-end sale now so we've been going in and out places looking for the bling! So to have some ideas, I turned to Google for help. Large diamond with a channel of small diamonds. Habib's signature Heart on Fire range, my first love. Until I realize not all Habib outlets carry them and I don't know how to wear that much bling around. 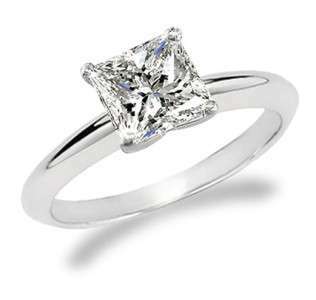 Solitaire diamond ring, probably the most common design of all time. To me, when it comes to types - you basically have two choices; the classic solitaire or diamonds with side smaller diamonds, however the setting is. Platinum (highest quality), white gold, or yellow gold. Palladium or silver for your other half. One thing you must know, is how to choose your diamond that is worth the money your other half is going to spend on. I knew nothing about diamonds - and Googling helps me realize the basic things are quite simple; carat, cut, clarity, color. Cut : angles in which the diamond is cut determines the cut. I didn't pay any attention to this. Clarity : internal defects in a diamond. Make sure to ask your sales guy about this as it's quite difficult to see with naked eyes. Color : from colorless to light yellow, the less color in a diamond, the higher the value. Usually it is mentioned in the details of your ring, or you can ask the sales guy. Regardless, I Googled these right in front of the sales guy so it took me some time to decide. He was helpful though; explaining to me which is of the better diamond and which could be difficult to maintain and everything. Until I finally saw my dream rock. Asked the 4Cs, asked for the price, asked for the diamond certificate, asked for my size. He said we need to order it for my size since it can't be resized. I said no problem I want it in my size, please, even if it means I'd only get the ring after one month (apparently that's how long it takes when you order a new ring). The sales guy showed me a ring similar to it with the diamonds arranged in a beautiful flower-shaped setting so I drooled a bit more, but he said the maintenance would be astronomical and tedious due to the delicate diamonds compared to the other one. So that's how I settled for my dream bling! Overheard a conversation between a husband and wife during the process, the husband wanted to buy his lovely wife a new bling. Husband : This ring is good enough, sayang. Nak batu lagi besar, beli batu nisan lah. <3 waaaa is there any post and photo of the ring u chose?